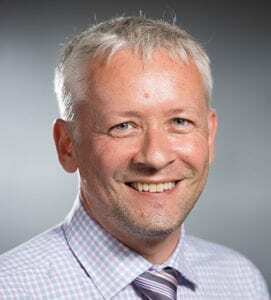 Dr. Clunes received a BSc (Hons) in Biology from the University of Stirling, Scotland, UK, 1995 and a PhD in 1998 from the University of Dundee, Scotland, UK. Prior to accepting a position as Associate Professor with St. George’s University in Sept. 2008, in the Department of Physiology/Neuroscience, Dr. Clunes worked as a Research Associate with the Cystic Fibrosis Center at the University of North Carolina at Chapel Hill. His work there included the development of a new lung model for drug development – and the registration of that model as an invention with UNC Office of technology Development. Throughout Dr. Clunes career in science, he has been involved in the elucidation of the mechanisms regulating ion transport in mammalian epithelial cells. The majority of Dr. Clunes work has been based on cellular transduction and the control of fluid/ion secretion and reabsorption, processes vital in osmoregulation and in the normal functioning of many organ systems, e.g. mucociliary clearance and respiration in lungs, chloride cell osmoregulation in fish, motility in gut and thermoregulatory control by sweat glands. To date Dr. Clunes work has involved gaining general insight into the normal physiology of animal epithelia (especially human), and in understanding pathological conditions affecting epithelial function, esp. cystic fibrosis, inflammatory bowel disease and anhydrosis/hyperhidrosis. Research methodologies Dr. Clunes is competent in include cellular imaging and spectrofluorescence (e.g. Ca2+ and pH measurement), immunohistochemistry, electrophysiology (Patch Clamp and Ussing chamber), molecular techniques, e.g. RT-PCR, Western and Northern blotting, primary and immortalised cell culture, mouse colony management – transgenic generation, and small animal surgery. Clunes, M. T. and R. C. Boucher (2011). Introduction to section I: overview of approaches to study cystic fibrosis pathophysiology. Methods Mol Biol 742: 3-14. Clunes MT, Bove PF and Boucher RC. (2008). Integration of epithelial ion transport activities into airway surface liquid volume and ion composition regulation. In The Pulmonary Epithelium in Health and Disease, Editor David Proud, John Wiley and Sons Ltd England. Chambers LA, Constable M, Clunes MT, Olver RE, Ko WH, Inglis SK and Wilson SM. (2006). Adenosine-evoked Na+ transport in human airway epithelial cells. Br J Pharmacol. 149(1):43-55.